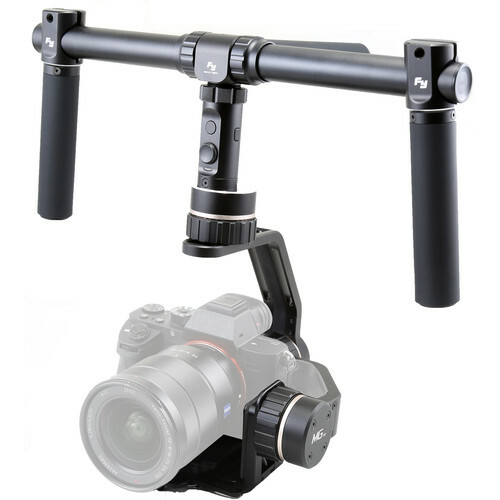 Mount your DSLR or mirrorless camera onto the Feiyu MG V2 3-axis motorized gimbal stabilizer. The form factor of the MG V2 is very versatile, as it can be set up in multiple configurations, with either the single or double grips installed. With only the single grip attached, the MG V2 becomes a discreet support tool, great for minimal setups. Add the included double grip for extra support with heavier cameras. Since the MG V2 uses a completely tool-less design, securing your camera and balancing is a simple process that can be done in nearly any shooting situation. Once you have your camera properly positioned, the MG V2 automatically calibrates to the camera's weight for stable footage. All three motors rotate a full 360°, permitting the full range of motion and stabilization from all positions. 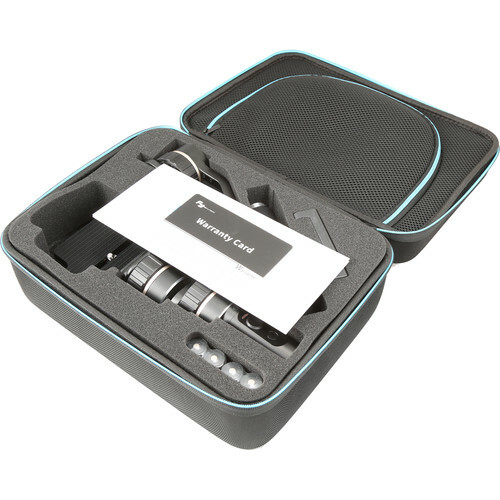 Use the built-in 4-way joystick and function button to control the gimbal. With the controls, you can manually move the camera, or set up the gimbal to operate in different modes. Each operating mode is described in the Features section below. Additional settings management is possible by way of the free Android smartphone app.